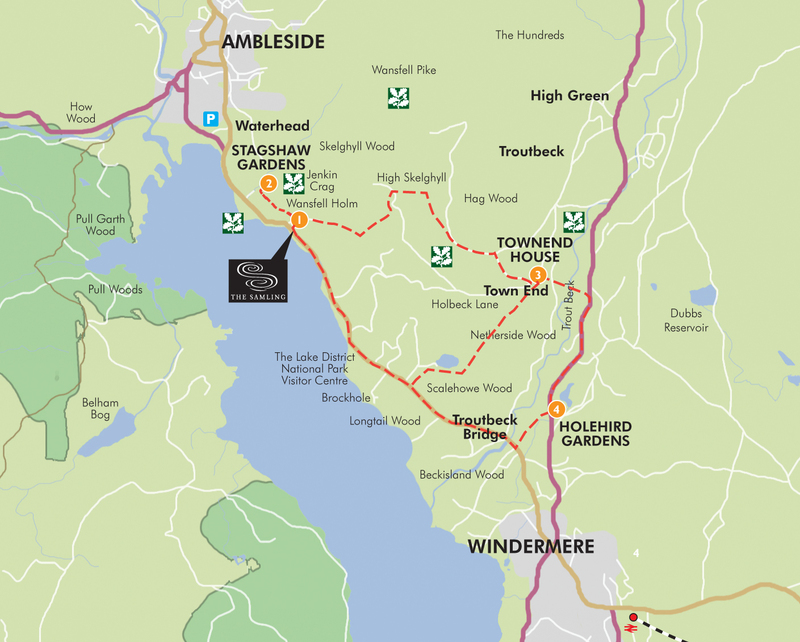 On a rainy or sunny day, stretch your legs and visit three gems hidden away from the crowds of Windermere. Discover 400 years of farming family history at Townend House, or explore Holehird Gardens and Stagshaw Gardens. Just 2 miles (1 hours walking) from The Samling is Townend House, an atmospheric farmhouse full of quirky objects and fascinating stories. The Brownes of Townend in the Troutbeck Valley were just an ordinary farming family: but their home and belongings bring to life more than 400 years of extraordinary stories. Once inside, you are welcomed into the farmhouse kitchen with a real fire, a quirky collection of domestic tools, and a library of books of international importance. Open March to November, Wednesday to Sunday, from 11:00am until 5:00pm. Feeling peckish? Pop into one of the pubs in Troutbeck. 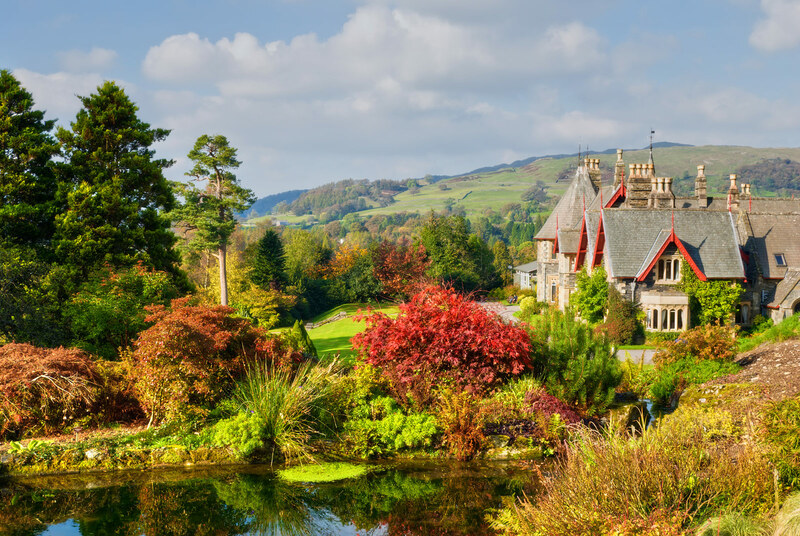 From Townend continue to Holehird Gardens -a 17 acre hillside garden filled with an impressivearray of trees and shrubs, extensive rock and heather gardens, a walled garden, alpine houses and herbaceous borders. The gardens are stunning all year round, and there are several garden trail leaflets available from reception. Visit the new Mediterranean bed which includes lavenders, olive and lemon trees – a beautiful spot to sit and enjoy the perfumed air. The gardens are open daily throughout the year from dawn until dusk, and the reception desk is open from April to October, 10.00am until 5.00pm. From here retrace your steps back to The Samling or continue to Windermere to take a bus back to Waterhead. Take a detour to Orrest Head for fantastic views. Short on time? You can still enjoy the great outdoors, without packing your rucksack! Enjoy luxury picnic in the gardens, relax in the outdoor hot tub or try game of croquet on the lawn right here in the grounds of the hotel. Next to The Samling you’ll find Stagshaw Gardens, an informal woodland garden ablaze with colour and wonderful scents. The rambling paths and unusual combination of shrubs, trees and plants give this garden an enchanted feel, with a different delight around each corner.